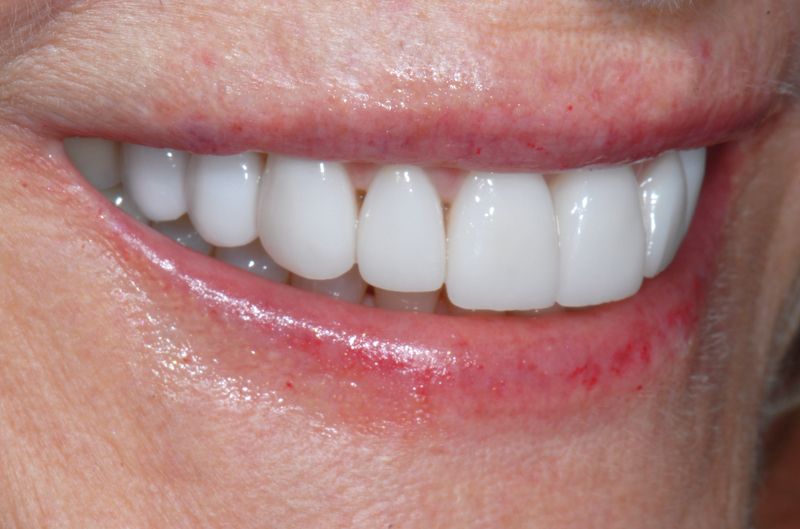 How amazing it is to correct imperfections in a smile and improve oral health with results that appear natural. 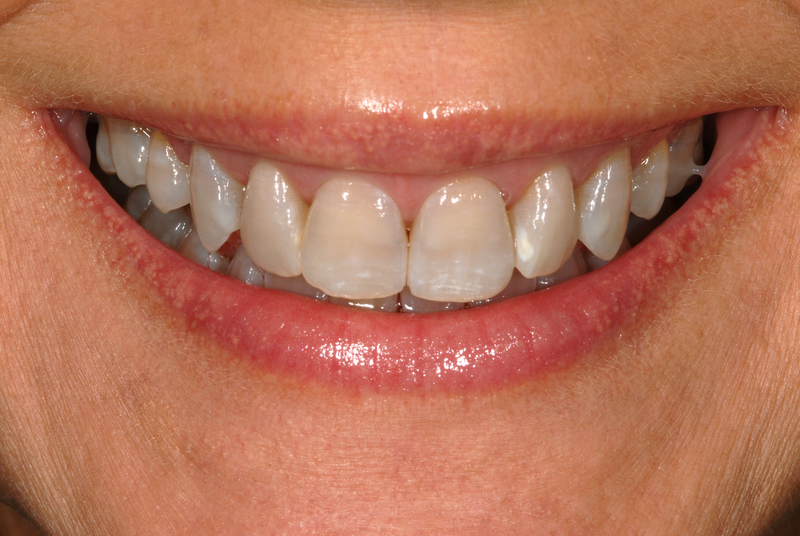 Smiles by Dr. Johnson Hagood are created with conservative treatments that are long lasting. 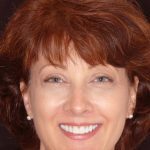 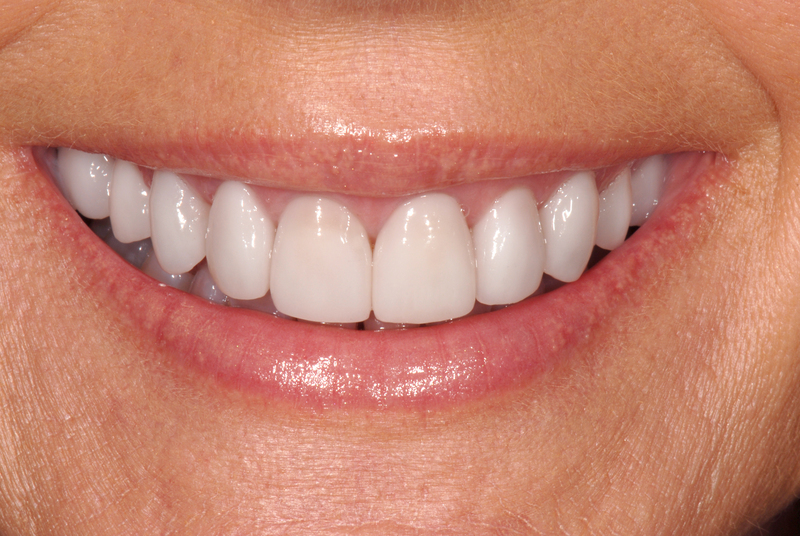 Susan’s smile was enhanced with ten porcelain veneers. 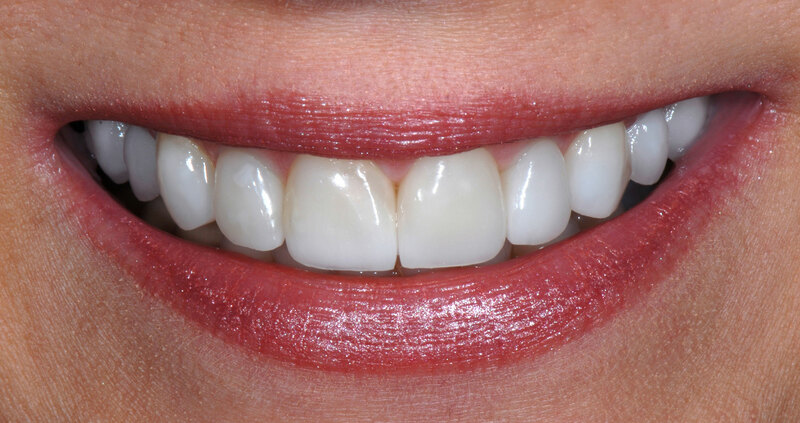 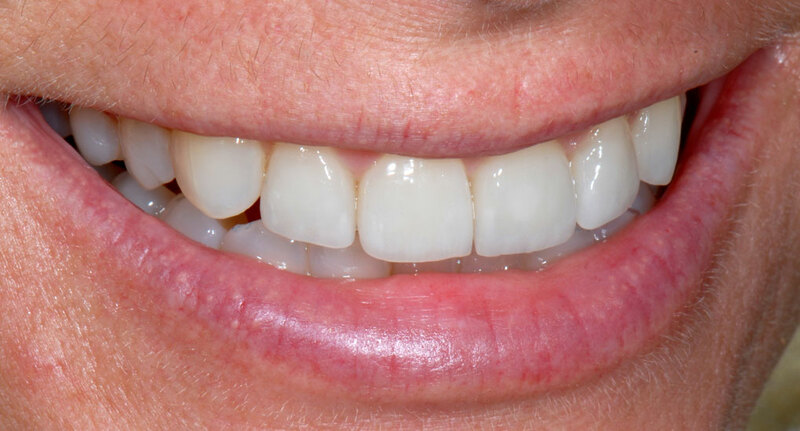 Enamel erosion and damage can occur over the years, but, as in this case, porcelain veneers can be used to conservatively restore the health and beauty of a smile. 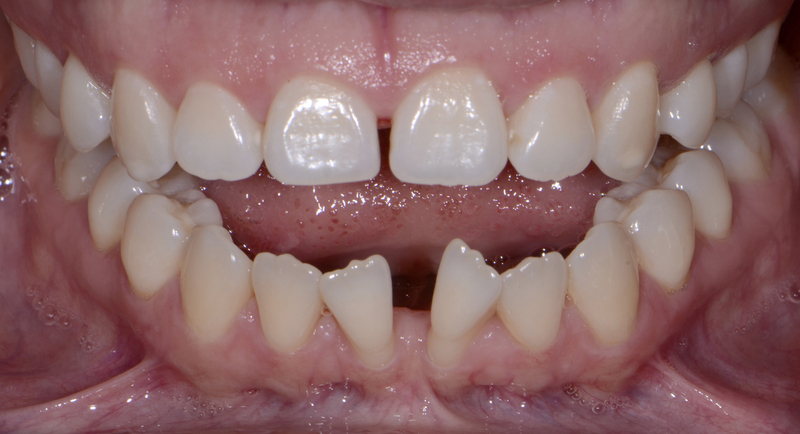 This patient’s treatment began with orthodontics to move lower incisors into proper position and correct her bite. 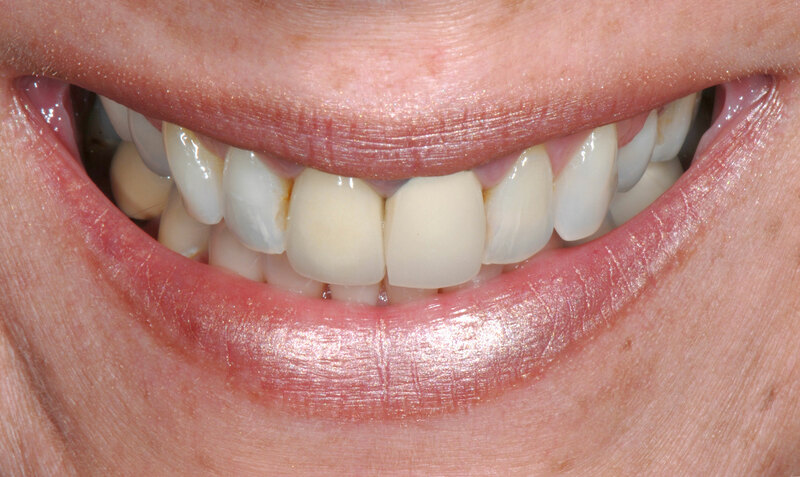 Porcelain veneers were used to lengthen teeth and provide beautiful proportion to her smile. 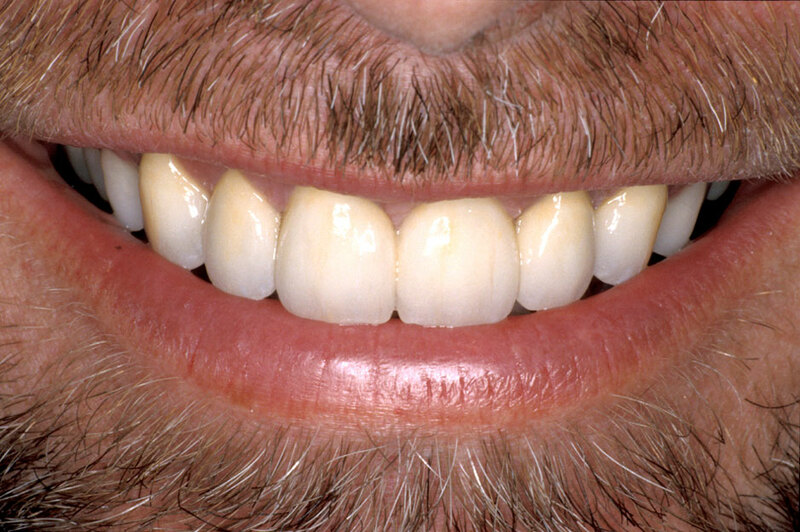 John received ten No Prep veneers. 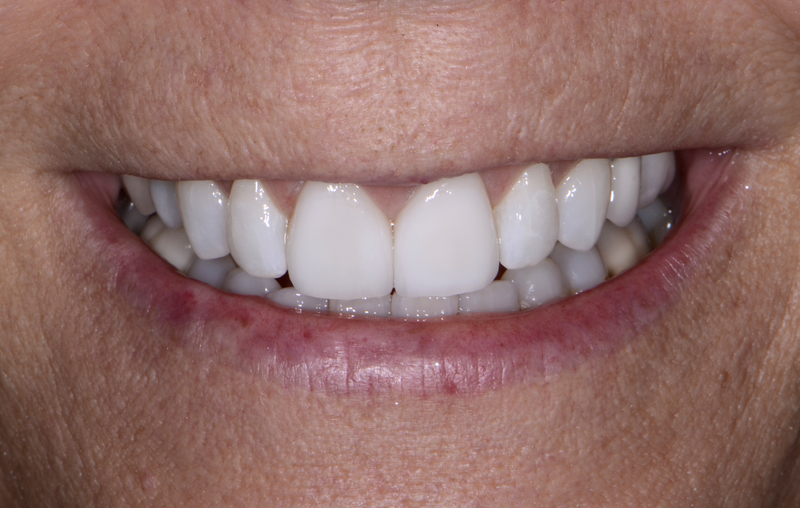 Porcelain veneers and a gum lift not only transformed this smile, but also added durable strength to this patient’s teeth. 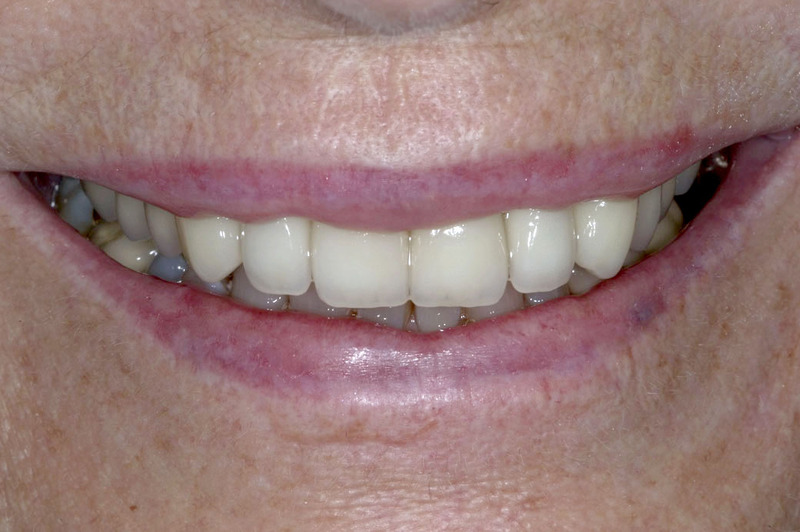 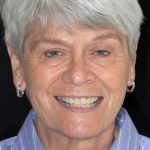 With a new excellent bite and restored smile, decades of dental aging disappeared. 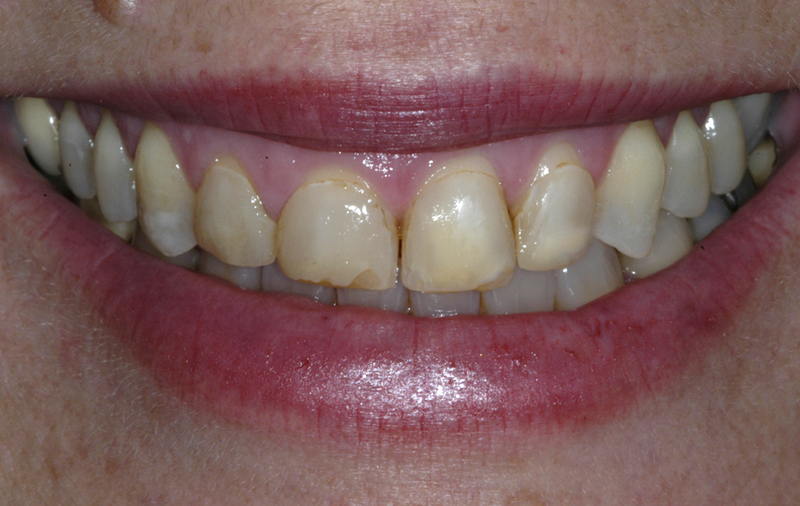 Previous root canal treatment of the patient’s left front tooth failed, resulting in loss of the tooth. 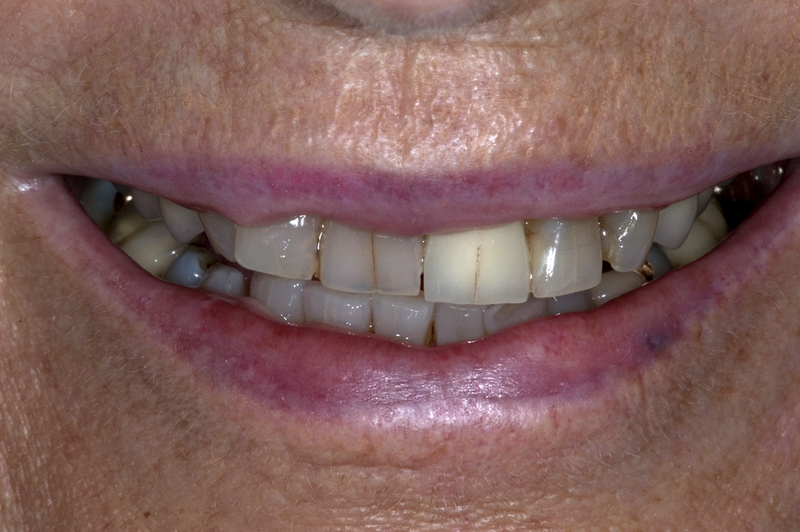 The missing tooth was replaced with an implant and implant crown. 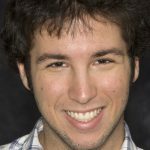 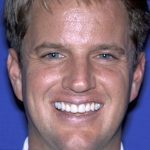 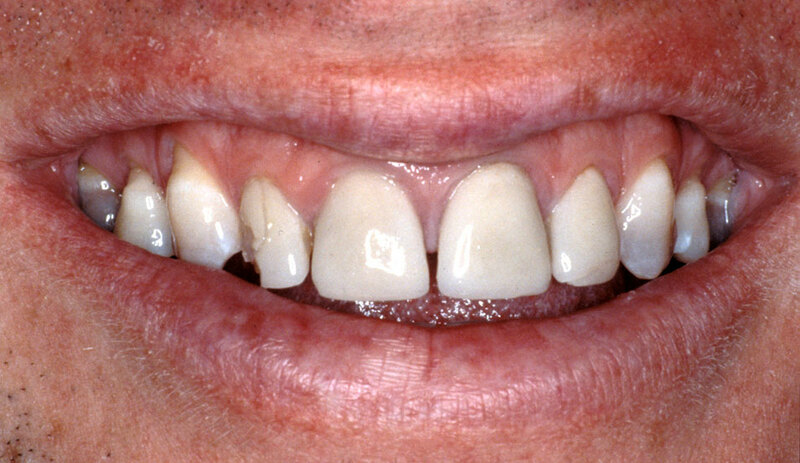 Nick’s congenitally missing lateral incisors were replaced with two cantilever all-porcelain bridges. 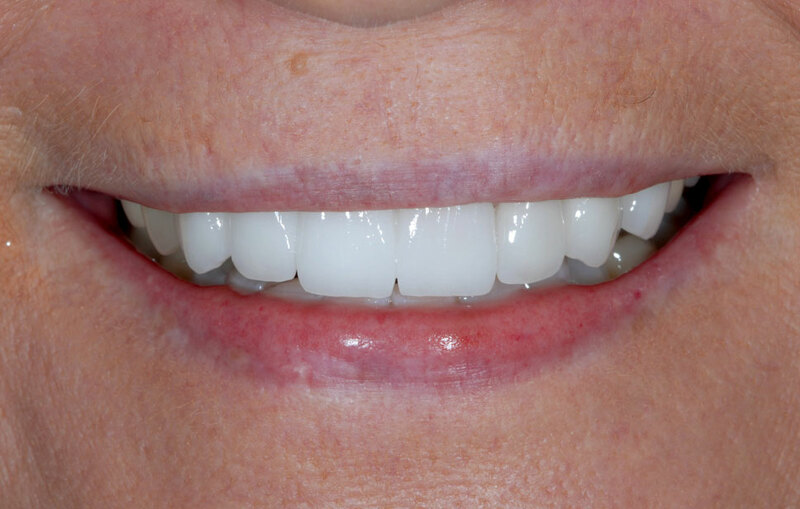 Barbara received two porcelain veneers, and look at the difference! 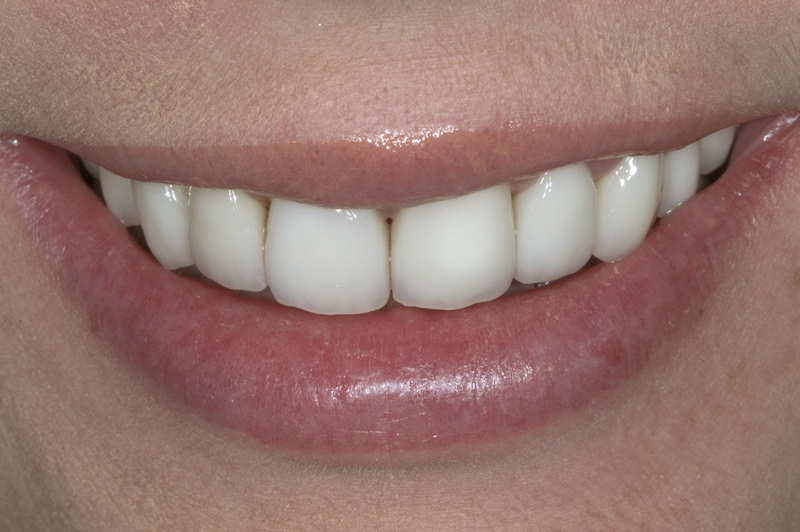 Kim had a full mouth reconstruction with crowns and veneers. 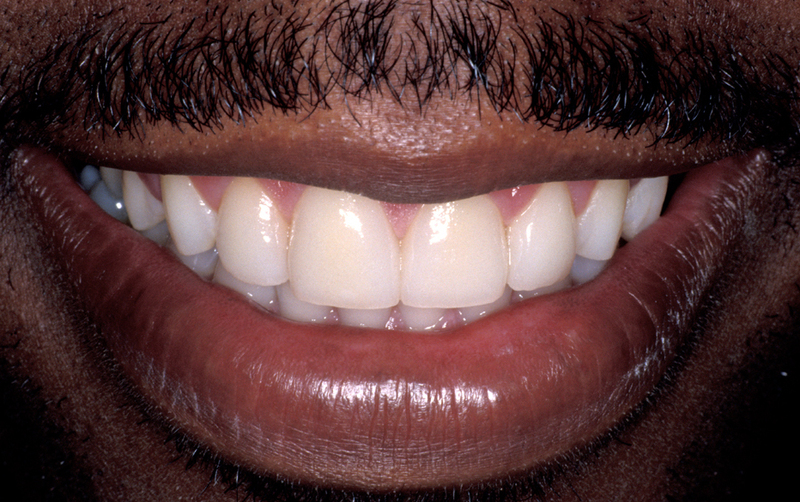 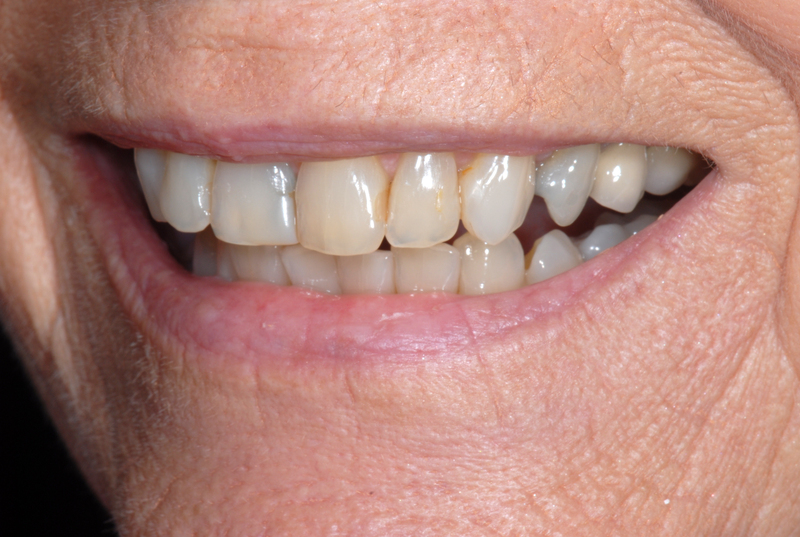 Steve’s upper arch was restored with ten porcelain veneers. 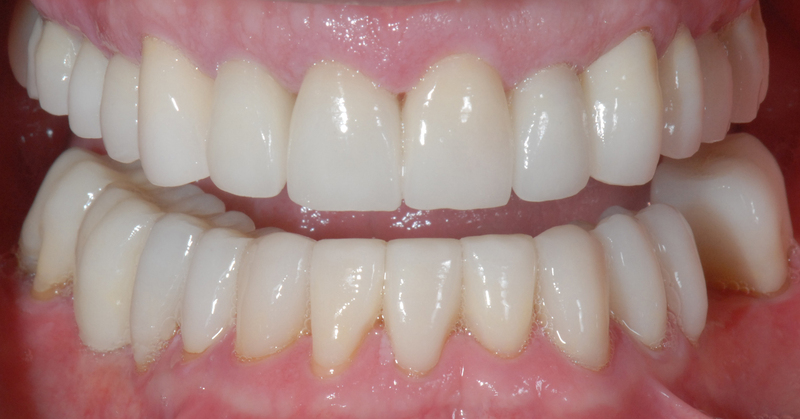 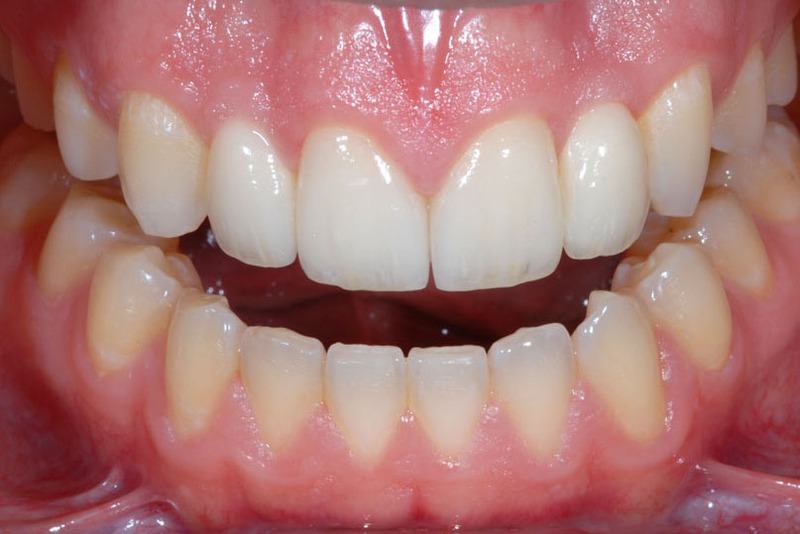 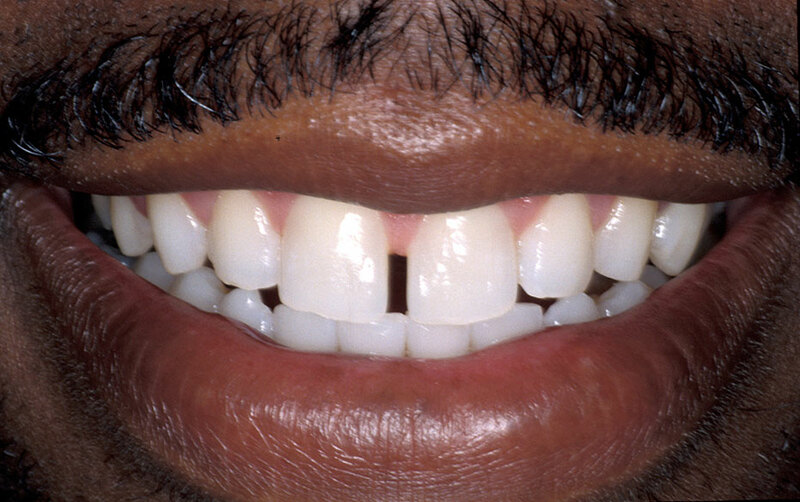 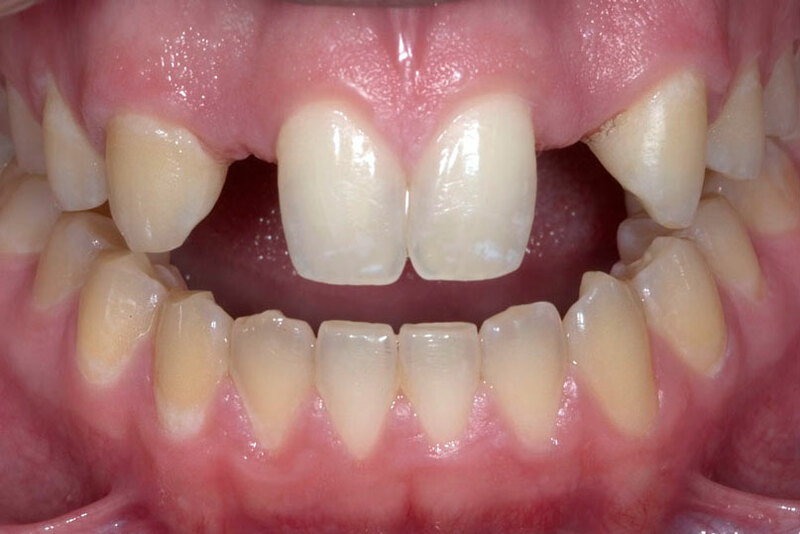 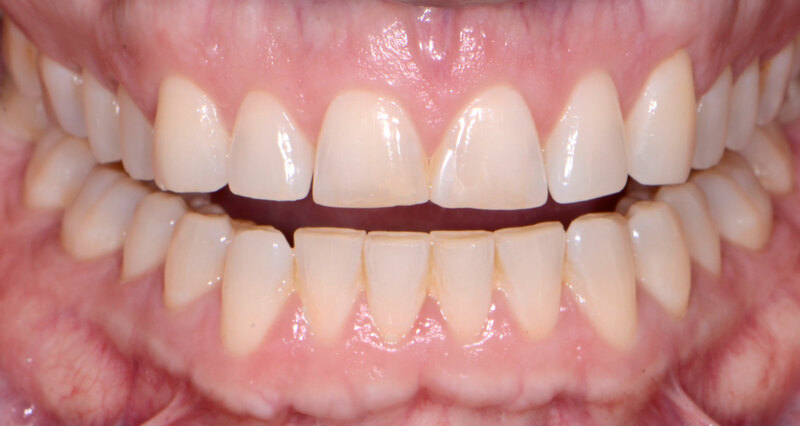 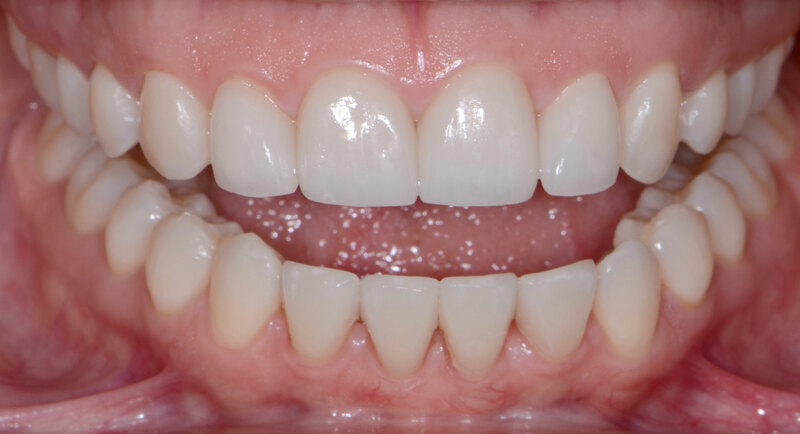 This patient’s upper incisors were restored with porcelain crowns. 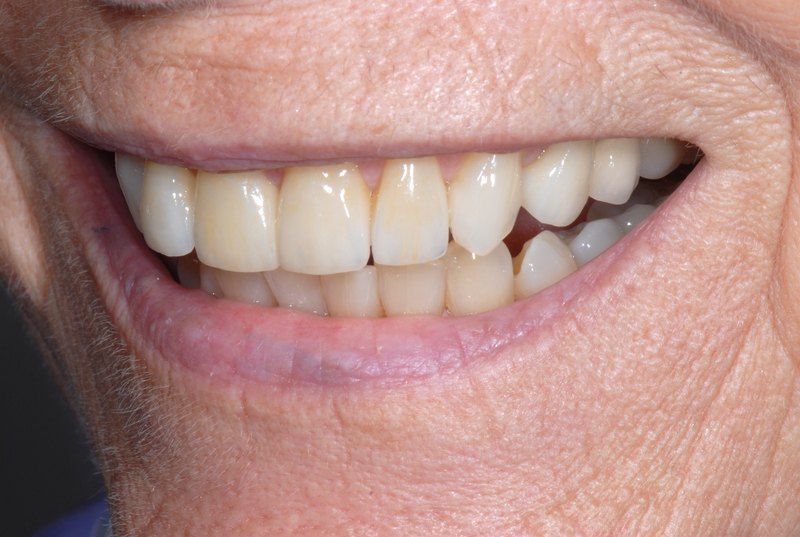 A porcelain bridge and veneers not only took years off her smile but also extended the life of her teeth. 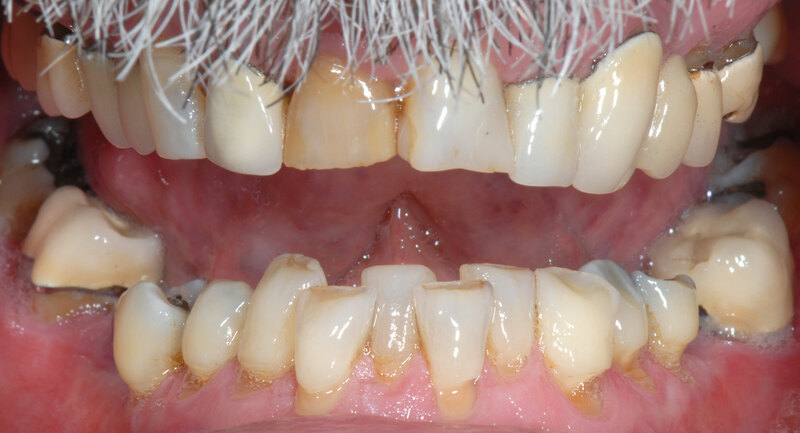 Note how every tooth, extending back, is as pristinely beautiful as the next. 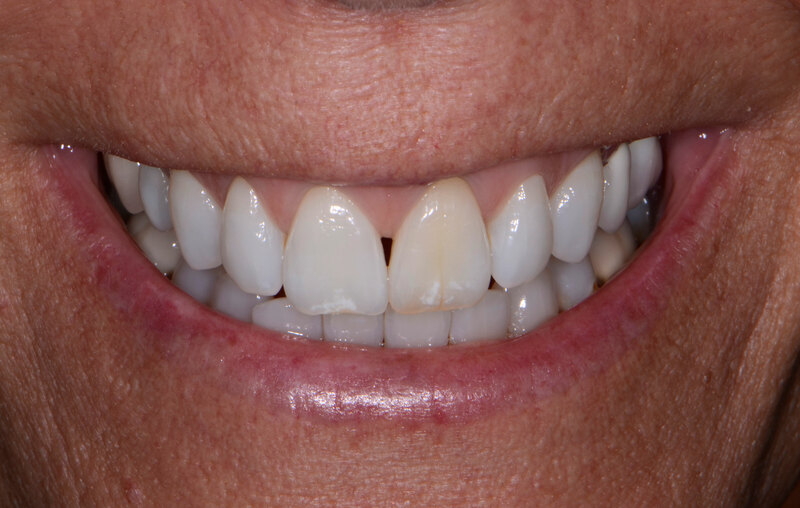 A porcelain bridge was designed to replace her missing tooth and easily restore her beautiful smile. 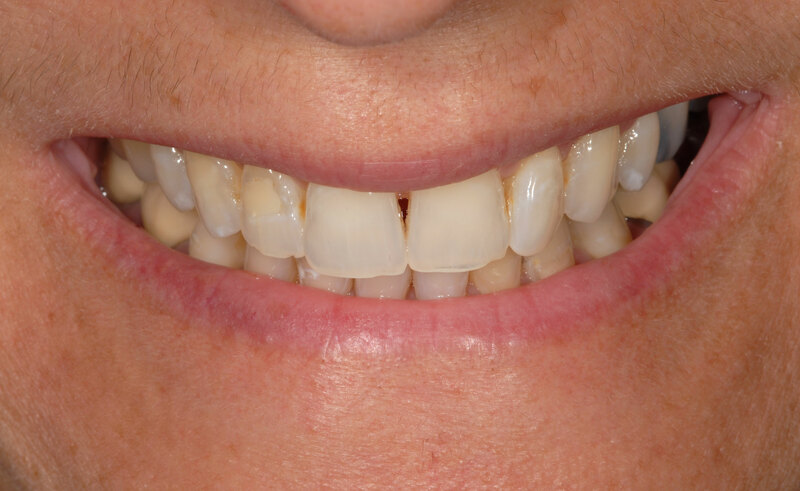 Six porcelain veneers on Lisa’s upper arch restored her central incisors and gave her a matched set of beautiful teeth. 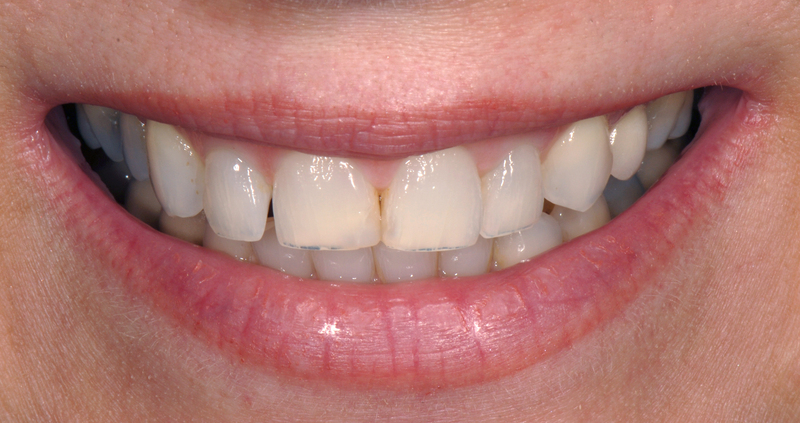 Lisa received ten upper porcelain veneers. 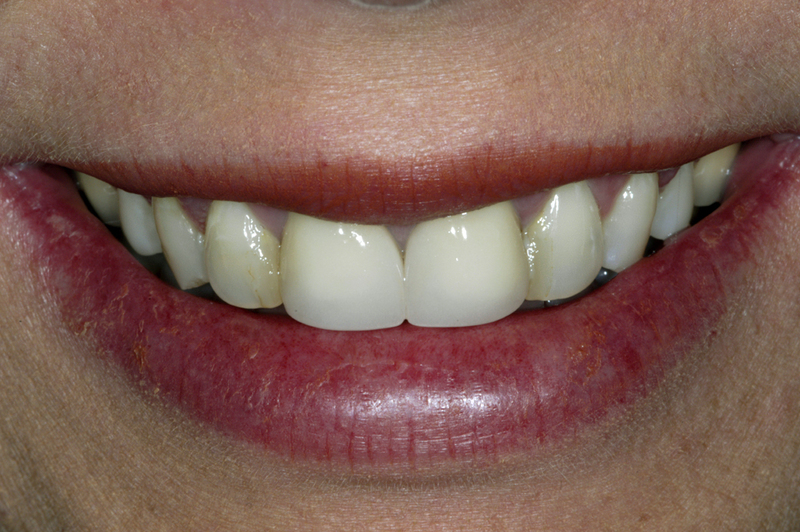 Dental damage was repaired, teeth strengthened, and a beautiful smile achieved with porcelain veneers. 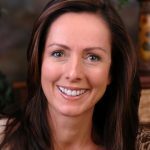 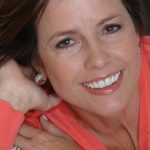 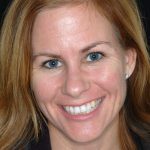 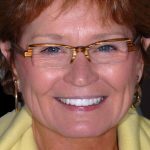 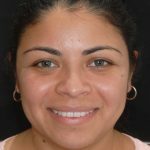 Julie’s smile was rejuvenated when her upper front teeth were straightened, shaped, and color matched with porcelain veneers. 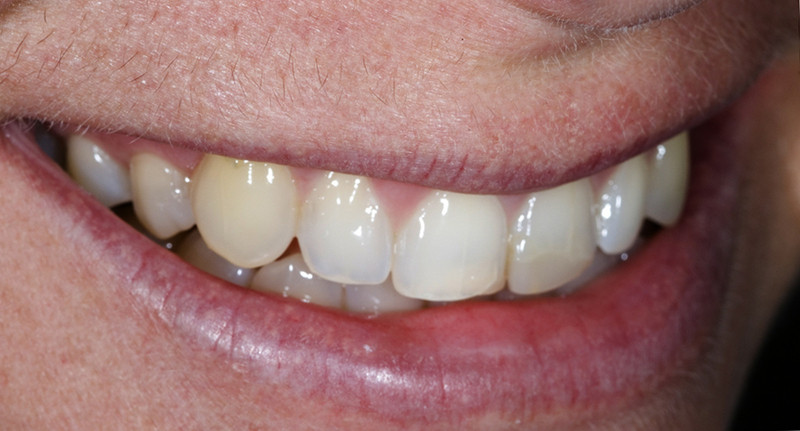 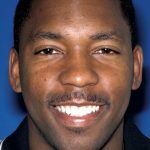 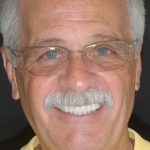 To provide a beautiful smile, Jerry received eleven restorations, including veneers and crowns. 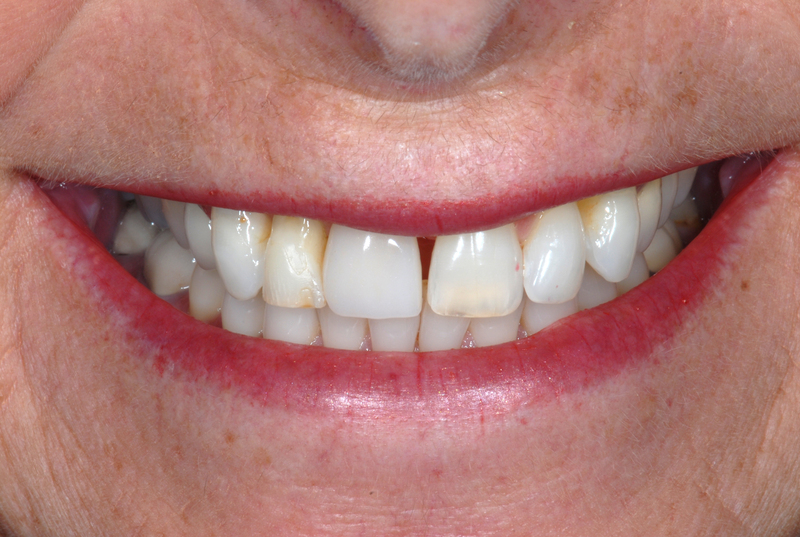 The gap in this smile was quickly corrected with two porcelain veneers. 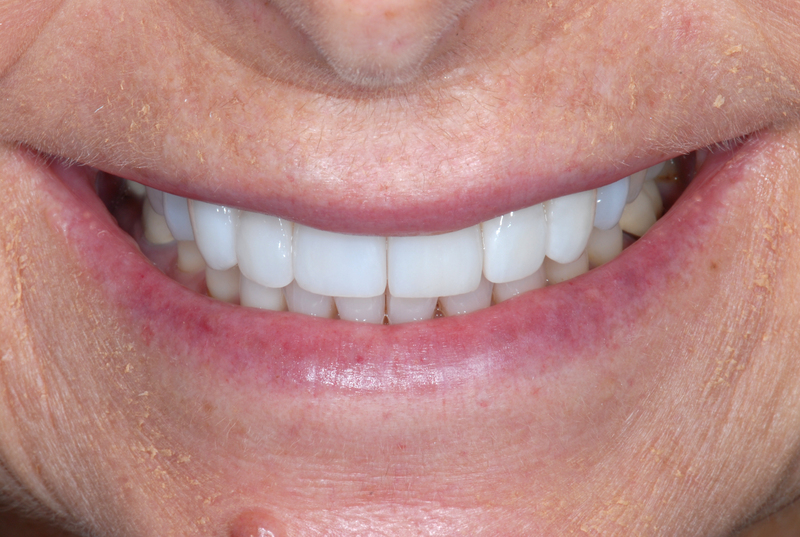 Ed was delighted with his full mouth reconstruction, including orthodontic treatment and restoration of all his teeth. 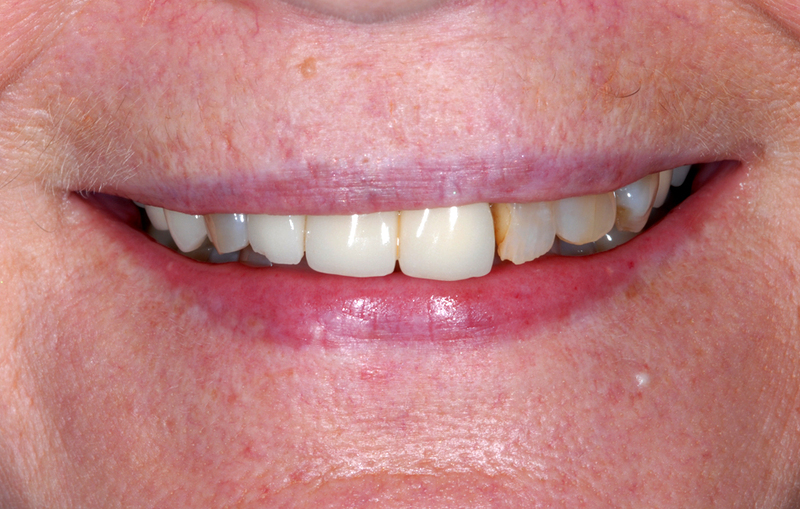 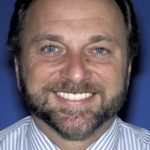 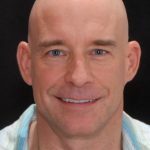 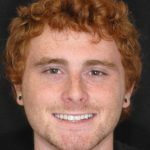 Doug received a dental bridge, porcelain veneers and a gum lift. 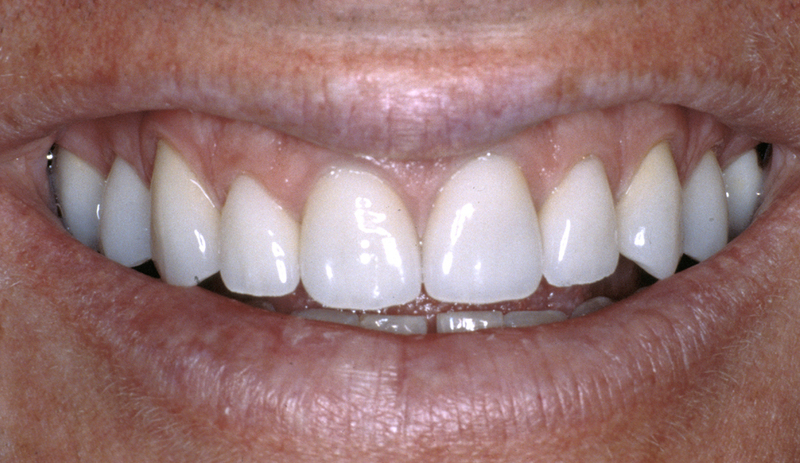 Beautiful tooth proportion and handsome lip were achieved as well as excellent occlusal function. 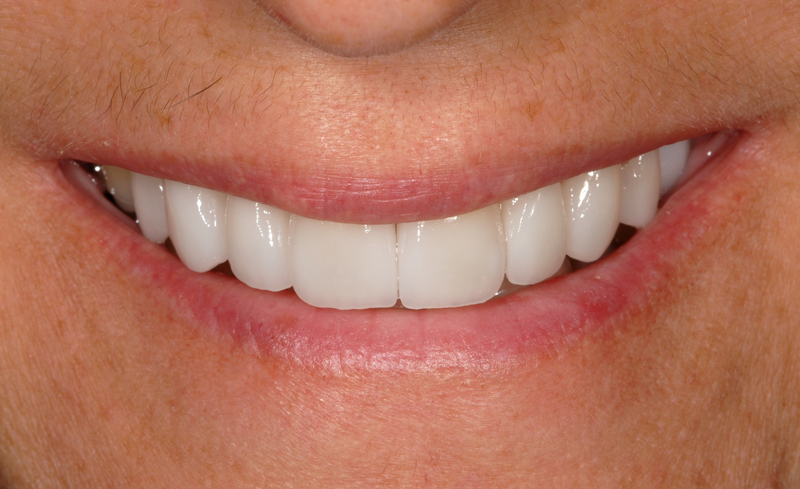 Bett’s smile glows after ten upper crowns and veneers were used to restore her teeth. 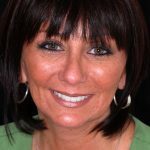 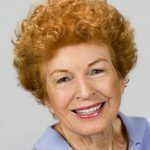 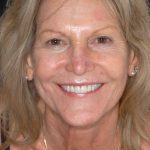 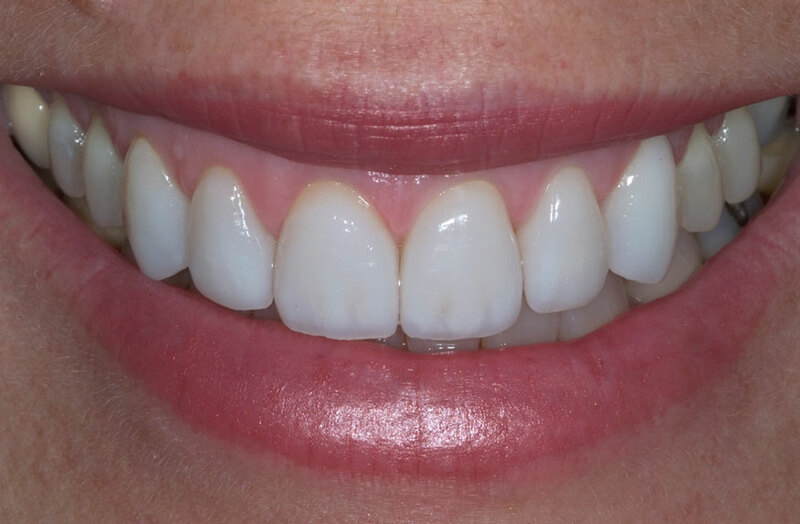 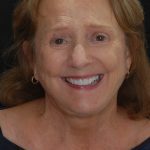 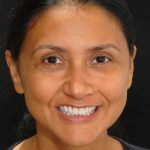 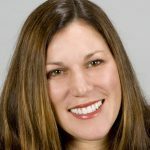 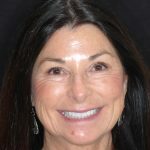 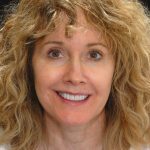 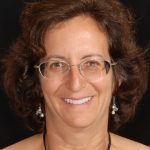 Denise’s two central incisors were restored with porcelain ¾ crowns, strengthening the cracked tooth and closing the undesirable space between the two front teeth. 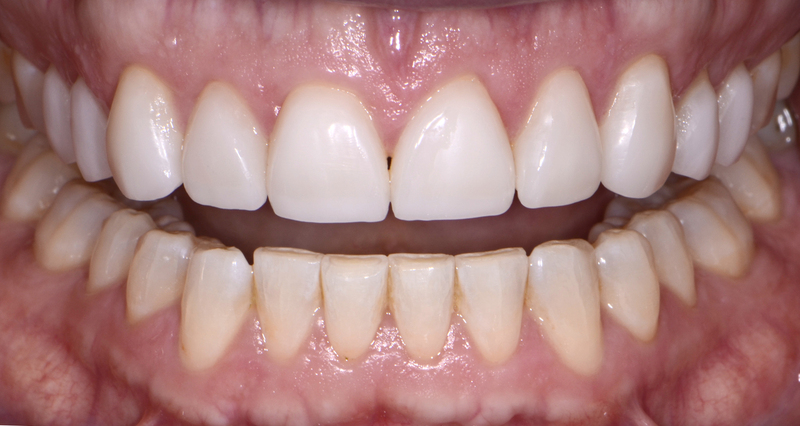 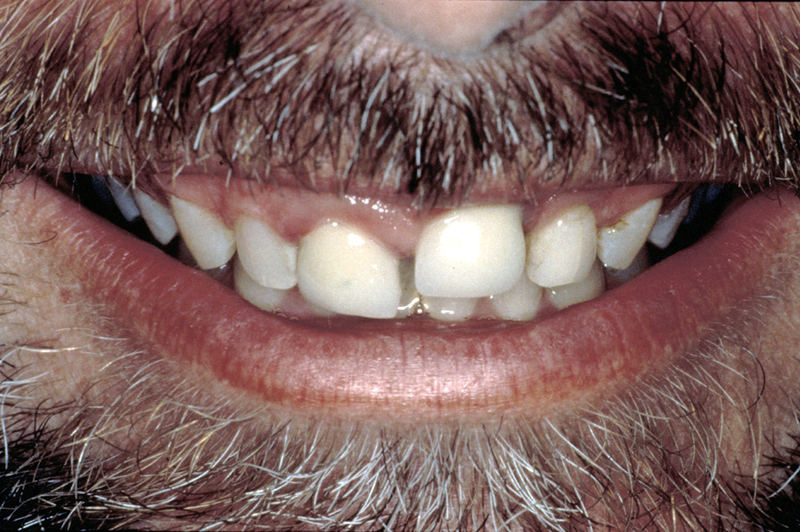 Older porcelain-fused-to-metal crowns were replaced with all-porcelain crowns. 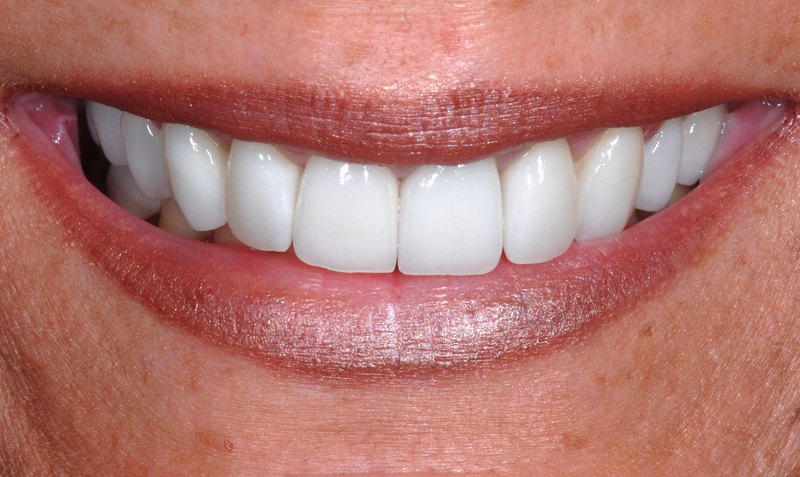 Composite bonding is a less durable choice than porcelain veneers but highly affordable for most patients. 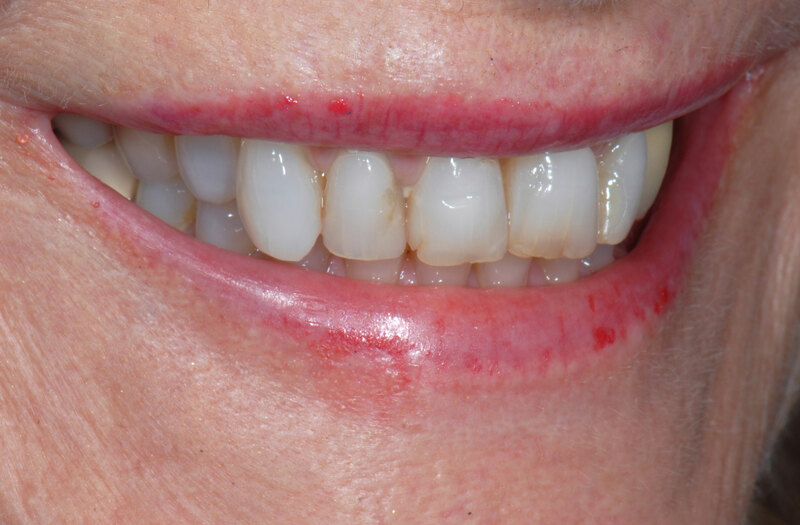 This patient was in need of enamel repair at the center of her smile and ecstatic with the results of her composite treatment.